The 2016/17 UK Living Wage rate has been announced! 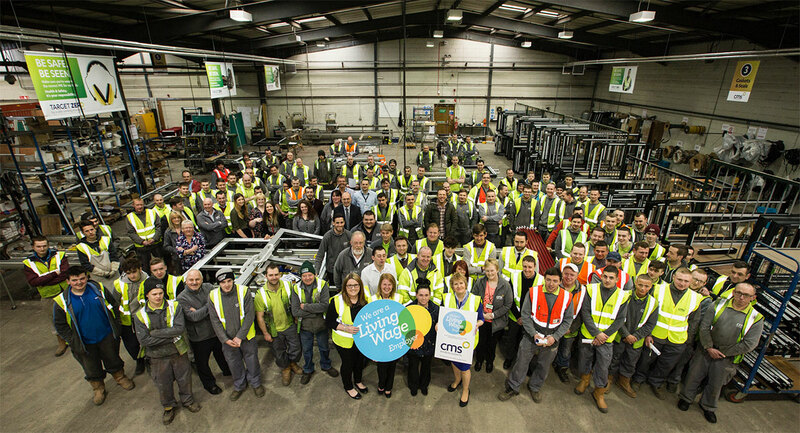 The Living Wage Foundation has today, Monday 2nd November, announced that there are now more than 2,000 accredited Living Wage employers across the UK. This doubles the number of accredited businesses from November 2014. Accredited Living Wage employers will pay their staff at least the new voluntary Living Wage rate of £8.25 per hour, rising from £7.85; significantly higher than the national minimum wage of £6.70 per hour, and the new minimum wage premium for over 25s of £7.20 per hour that will come into force across the UK in April 2016. The announcement today will see a pay rise for approximately 68,000 staff that are employees of the accredited businesses that commit to paying all their staff, including sub-contracted teams working on their premises, at least the Living Wage. Mayor of London, Boris Johnson, will announce the new London Living Wage rate at 9am, Monday 2nd November. The London Living Wage rate is expected to follow a similar upward trend to the national rate, and is already set above the anticipated 2020 target for the minimum wage premium for over 25s of £9.00 per hour. The new rate, which the Living Wage Foundation encourages responsible businesses to pay, is calculated independently and based on the cost of living. Sarah Vero, director Living Wage Foundation said: "Today we are celebrating those 2,000 responsible businesses that are voluntarily paying the Living Wage to their staff. These employers are not waiting for Government to tell them what to do; their actions are helping to end the injustice that is in-work poverty in the UK now. The Living Wage campaign is growing at pace. Today more UK businesses are announcing their Living Wage accreditation including national retailer Richer Sounds, Lloyds Banking Group and Unilever. They join a growing list of organisations ranging from FTSE 100 companies to independent businesses, SMEs and third sector employers who all share our belief that work should be the surest way out of poverty. The Living Wage is good for people and for business." Neil Jameson, director, Citizens UK said: “Citizens UK member communities have been acting on this issue for well over a decade to champion the Living Wage and encourage those businesses we believe can, to pay their staff enough to live on. Whilst huge gains have been made with increased numbers of organisations signing up, the fact remains that nearly 6 million workers, that’s 23% of the UK’s working population, earn less than a Living Wage. “Where are some of the UK’s biggest names on the issue of low pay? Companies such as BT, EDF and even John Lewis have yet to accredit, despite others in their sectors leading the way and showing it is possible. The Living Wage Foundation has launched an online interactive map as part of the Living Wage People’s Movement, detailing for the first time, all the accredited businesses and their branches that pay their staff at least the Living Wage, so consumers and businesses can easily search for a Living Wage accredited employer to do business with or buy from. The map and materials to help Living Wage supporters are available at www.livingwagemovement.org. The current London Living Wage is £9.15 an hour* to be increased & announced later today [Monday 2nd November 09:00am].